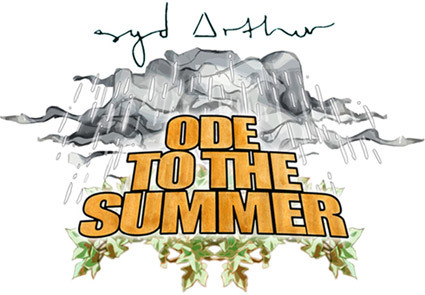 Syd Arthur, a quartet of Canterbury-based devotees of sound immersed in the simple pleasures of songwriting, performance and exploratory musical interplay are proud to present their new release Ode To The Summer. Live, the band has been together since 2006. On record, it all starts from here. Syd Arthur’s intricate, high-energy live sets have created a large following on the underground scene across the South of England, Europe and beyond. Festival veterans, the band have played everywhere from Glastonbury to the Secret Garden. Performances at Summer solstices and green gatherings number against UK tours and trips to Europe; this is an accomplished live band. Greatly inspired by the sonic pioneers of the late 60s and early 70s, they have patiently learned how to engineer, produce and mix themselves, using an innovative hybrid of analogue and digital techniques. Naturally, in 2009, Wicker Studios, their own studio space was created, followed by their record label, Dawn Chorus Recording Company. With their unique and organic aesthetic, the band have since found themselves the integral part of an exciting new music scene. Several bands have developed strong ties, united by an encouraging spirit of camaraderie and a shared love of such greats as Soft Machine, Fela Kuti and King Crimson, to name but a few. Syd Arthur may revel in the music of decades long past but, as psychedelic rock goes, they match the hallucinogenic sounds of modern contemporaries like Wolf People, Black Mountain and Tame Impala - with unique, whimsically sweet, melodies. With the benefit of an extra 40 years of popular music culture, WOMAD festivals and the entire world’s musical output at their fingertips, the psychedelic genre no longer sits, gathering dust, in the decades gone by. Syd Arthur embrace its origins, lodge their feet in the present, and hold up a triumphant head, pointed firmly at the future.